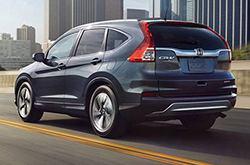 The spacious 2016 Honda CR-V is one of the top compact SUV's available today. It comes with self-folding rear seats, innovative technologies, a series of advanced safety features and plenty of cargo room to fit all your groceries and/or luggage. Coming into 2016, a new Special Edition trim has been added to the CR-V's lineup this year, which sits just above the base LX trim. This is the only change made to the model this year and you can read about it in our comprehensive 2016 Honda CR-V review below. When it comes to dependable SUVs, the 2016 Honda CR-V in Arlington is one of the best. 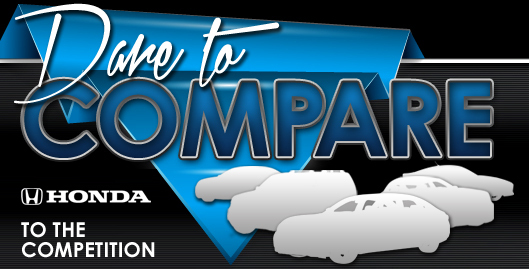 It comes with everything a buyer could possibly want in a compact SUV and offers excellent fuel economy. For the 2016 model year, the CR-V continues to impress car enthusiasts with its collection of amenities and even boasts a new Special Edition model that adds rear privacy glass, 17-inch alloy wheels and a security system to the vehicle. Additional features from the LX trim, including Bluetooth connectivity, a rearview camera, cruise control, a four-speaker sound system, a tilt-and-telescoping steering wheel and a USB port, can also be found on the SE model. On the performance end, the 2016 Honda CR-V in Arlington packs a 2.4L four-cylinder engine, outputting 185 horsepower and 181 lb.-ft. of torque. A continuously variable transmission is mated to the powerplant and can be found on either front-wheel drive or all-wheel drive models. On front-wheel drive variants, an EPA-estimated 29 mpg combined, 26 city and 33 highway is achieved, while all-wheel drive models produce 27 mpg combined, 25 city and 31 highway. Additionally, all-wheel drive models can go from 0 to 60 mph in 8.8 seconds, which is better than most vehicles in its segment. 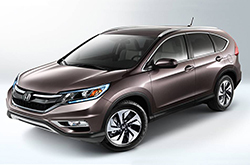 If you'd like to acquire further details about the new CR-V, scroll down and keep browsing our 2016 Honda CR-V review. When you compare Honda's new 2016 CR-V alongside the 2016 Toyota RAV4, Kia Sorento and the Chevrolet Equinox, we're sure you'll find that the CR-V is the perfect fit for you. You'll benefit from the CR-V's long list of appealing attributes, including its budget-friendly pricing and state-of-the-art cabin features. Many drivers in choose it because it's a remarkable value; compare its price to the forementioned vehicle options to see for yourself. Find even more details about what it offers; see our quick-facts list for the CR-V - bullets below. 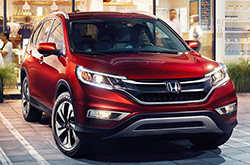 The 2016 Honda CR-V review above was penned by Vandergriff Honda's professional writers; for information about prior models please view the links in the sidebar. Good reviews are hard to find ; but as the well-known Honda retailer in we've put it all in one location for you. Everything perspective car buyers need to make wise decisions is right here, including info regarding fuel economy and other specs. Each article is filled with practical data and specs - all at your fingertips. Now that you've read Vandergriff Honda's review of the 2016 CR-V, please message us to find out about national incentives and lease offers, so you can save a substantial amount on your next purchase!